From what I recall, this site came onto the live video random chatting scene back in early 2011, yet it still has managed to climb the ranks of the webcam roulette sites to the point where it now ranks among the most popular. Chatrandom is actually already nipping at the heels of the two big boys, Omegle and Chatroulette, if you can believe that! How’d they do it? I guess they are good at internet marketing, what can I say, because it’s definitely an impressive feat they have accomplished thus far. As you might imagine based on what I’ve said the site has plenty of users online 24/7/365, so you will definitely be entertained in terms plenty of new people to meet every time you log in. Now, let’s talk about the features. If I had to venture a guess, smart marketing isn’t the only thing that made Chatrandom as popular as it is as quickly as it happened, because it has a versatile set of chatting options that most other chat room sites do not. First, it has the usual obvious video roulette chat option. This option is running on a solid software platform, with very few if any disconnections. Second, they have something they have a group chat room area where you can choose among a multitude of rooms that are all packed with users, and you can chat via text or video, it’s your choice. You can view other people’s streams, have private video calls, and more, it has lots of great features. Third, and lastly, Chatrandom has a multi chat functionality that is focused on viewing and/or running your own live cam stream, but with more of a focus on sort of gaining viewers / having your own show. If all this sounds awesome, visit them now at www.chatrandom.com. Camzap is a popular Chatroulette alternative, that at least started out as an almost exact imitation. In terms of what it offers it still basically is an exact copy, but there is one distinct new feature they’ve added which I will get to later. You may be thinking, how can a copycat site become popular? It’s not like they invented anything new? Well, they did, and it seems to me a big part of the reason it worked out for them is they saw the opportunity and jumped in really early on, right after Chatroulette went viral. I’ve seen this same sort of marketing strategy utilized on Youtube viral videso all the time – people make parodies etc and whoever makes a decently good one the soonest gets the most attention. I guess a similar concept applies with viral websites. Anyway, Camzap is definitely popular, as we’ve already established. It’s user base is a bit different from the average random roulette webcam chat site though. It seems to be a much more international visitor makeup, with oddly large concentrations from places like Iraq and Brazil. Granted, maybe Brazil isn’t so odd considering their massive population since some roulette site has to be their spot to be, but you get the idea. In any case, that one distinctive feature I alluded to earlier is their beta version. The link to it is a bit hard to spot, but it’s in the footer, and it takes you to a new page. On the new page you see the same old roulette setup, with one major different. There is user registration and an add to friends button you can use while playing cam roulette. This is definitely a nice extra feature to have. Visit this website at www.camzap.com. Update: Site no longer exists. This is a pretty popular live video random chat site. It was one of the earlier Chatroulette imitators, such that it got in at the right time and ended up doing very well for itself despite having no distinctly unique features, unless I’m missing something. However, even though it doesn’t really have any unique functionality, it does sort of have one proprietary aspect to it, which is that it has marketed specifically to the French population, and succeeded in drawing a large user base from France. Furthermore, I’m not sure whether or not this second part was intended, but they have also been able to attract a large Italian user base. Maybe this is related to a similarity in languages? I don’t really know, I’m no expert on the subject, but I can tell you that Alexa traffic data does show this to be the case. This is one of the older random chat sites. Like Omegle, it existed before Chatroulette, and started as a text-only version. Then, when video became the new standard in the niche, iMeetzu followed suit and added it as well. Founded back in 2009, this site has always been pretty unique compared to others. It began with a social network built in to it that allowed its users to publish, comment on, and rate their conversations. This ended up being a privacy issue due to users divulging personal information in the conversations, so that feature was removed. However, the social network lived on, and has grown more and more popular, as well as acquired lots of cool features. The social network is what sets iMeetzu the most apart from most other chat sites. It is a highly unique application, where for example, rather than “liking” something, you “winning” it. Because the community is comprised of people who use random roulette chat sites, it is a very different and fun environment compared to your average social network or dating site. In any case, the other chatting features iMeetzu provides are also important. The text-only option also includes free apps for the iPhone and the Android. Omegle only has it for the iPhone, so for Android users iMeetzu is the best option for random chatting. Other options include the webcam roulette and group video chat rooms, both of which are quite cool. If all this sounds good, check them out at www.imeetzu.com. Chatroulette was not the first site to come up with the “random chat” concept, that was Omegle, but it was the first random chat site to add video into the mix, which was really a massive difference. The addition of live webcam streams gave the random chatting category a new luster, making it far more intriguing due to what users could stumble upon, both good and bad. I guess being able to see the other person goes a long way versus simply being able to talk them via text-only. After reaching about 100 users online, Chatroulette started getting media attention and went viral. After it peaked, many people thought it would be a fad and just disappear, but it has held strong, albeit at a lower level of monthly visitors than at its peak. The level has held steady with a continuous flow of millions of users a month. If you aren’t all that familiar with the roulette cam chat format, basically it involves a one-on-one video chat session with another random person, and you get the ability to click “next” to skip to the next random connection. The downside, of course, is that the other user can skip you as well. The plus side is you never know who or what you will see, which adds a sort of excitement that goes above and beyond your usual chat room. There is some debate about whether or not this concept is really that novel nowadays, because of instant messengers such as AIM or IRC that may have had some sort of random connection feature you could use back in the day, but I think the website-based format really reinvented the concept, even if it did sort of exist previously. Anyway, you can visit the site at www.chatroulette.com. Omegle is actually responsible for originating the current concept of random chatting, not Chatroulette. The average person seems to think that Chatroulette was the first to invent the category, but in actuality, Omegle came out about a year and a half before Chatroulette ever existed! Crazy right? However, Omegle did not have the roulette video chat option, it was text-only, and it only added the webcam choice after Chatroulette garnered headlines and showed how much more popular the random chat concept could be with video streaming added to the mix. Thus, in a way, Omegle should be thankful for it’s new competition, because the competition brought more overall popularity to the niche itself, which then actually led to their current level of popularity which is actually WAY higher than it was pre-competition. Funny how that works. In any case, let’s dive into the features. The basic offerings include the text-only version and the live cam version. Both are fast, clean, and easy to use. The text option actually also has an iPhone app to go with it, but no Android app like iMeetzu has. Then, on top of the app, the text version also has something called “spy mode”. In this mode you can pose a question and then “spy” on two people as they argue over the correct answer, or just start talking about something completely different, you never really know what they will do, and that makes it a much more intriguing feature. Finally, Omegle also offers the ability to specify interests and then be connected with others who also specify a similar interest. This is great because it can be a real time-saver if you’re looking to have a discussion with someone about a particular subject, or just to meet someone who you are more likely to have things in common with and thus have more immediate rapport. Like what you’ve heard? Visit the site at www.omegle.com. Streamberry is a website that provides a couple different chatting functionality options. The first one they call “Chatroulette”, which they name EXACTLY after the roulette webcam pioneer, but let’s be honest here the term “Chatroulette” is basically kind of like the term “Google” in the sense that people probably say “Chatroulette” when referring to random chatting more than actually saying “random chat” or something else, just like how people tend to say “Google it” instead of “search for it”. Anyway, the point is they do have your typical roulette-style chat option, and it’s pretty popular, both of which are great things to know if you’re considering giving them a try, which you can do by visiting www.streamberry.com. Update: Site no longer exists. As for the second option, they call it “live cams” and it is a flash-backed chat software platform that allows you to go between what looks like about 5 different rooms, and then allows you to watch other people’s live video feeds as well as run your own. The cool extra thing you can do is you can watch up to four different feeds of other people at the same time, and you can select where you want them to show up. So, you get four spots to place the four feeds, literally numbered 1,2,3,4 and then you can click on one of those numbers next to the feed you want to watch and the video feed will then show up right in the spot you want. Anyway, this functionality seems to be more focused on getting as many viewers as possible more so than having private conversations, so just be aware of that when you check it out. Okay, so, it is time to get this site rolling! We plan to make a really detailed and useful guide to the best random (aka roulette) chat sites here, and it is going to be a party, well, at least once it’s done. 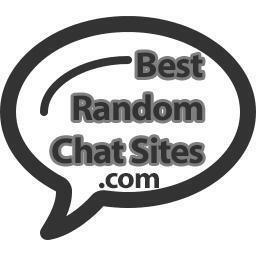 I mean, let’s get real here, who doesn’t want to know what the best random chatting websites are? Only, like, someone who is a total complete loser, duhhhh. Ok, I guess if someone has no idea what it even means to random chat that might almost be an excuse, but if they stumble upon this soon-to-be awesome resource, then even that excuse will no longer qualify, so yea, there. Anyway, we will be going over numerous sweet random chatting sites, and of course including all the same old most popular ones like Chatroulette, Omegle, iMeetzu, etc. After all, we have to be thorough! So yea, come on back in a while and you shall not be disappointed!